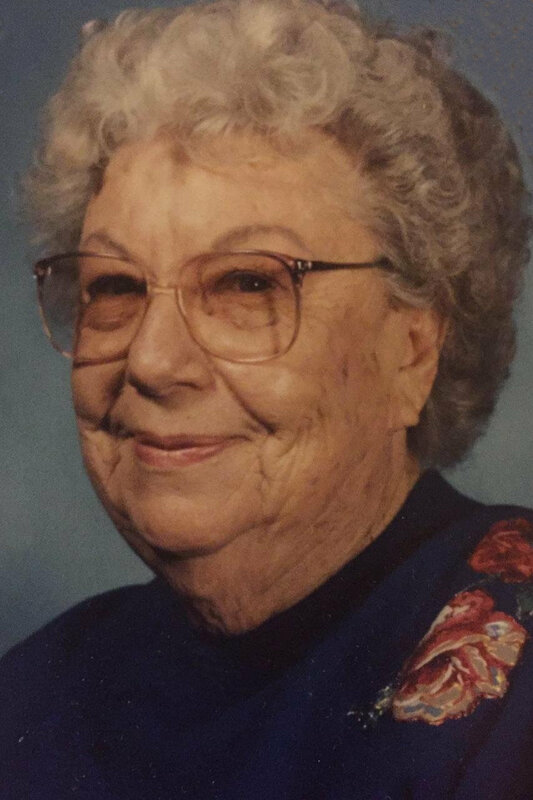 Johnnie Edwina Manning Minter, also known as Mom, Grandmaw, Edwina or Sis to her family and friends died peacefully on March 19, 2017 at the age of 94. Edwina was born February 4, 1921 in Houston County. She is the daughter of Graydon (Son) Manning and Lena Hart Manning. She was very close to her brothers and sister, GL Manning, Harvey Manning and Barbara Manning Muckleroy. In 1938 she met William Morris Minter. Morris and Edwina married June 16, 1939. In 1943 they had their only child Johnny Morris Minter. They were married for 46 years before Morris’s death in 1985. In 1952 they made the “farm” in Crockett Texas their home. This home was open to many family members over the years and is still the Minter homestead. Edwina was a mother, homemaker and host of many gatherings at the farm and everyone especially loved her fried apple pies. She had an unwavering faith in God. Worshiped in the Baptist Church over the years and she was very involved in mission work. Edwina received her Licensed Vocational Nursing degree from The State of Texas in 1964. She worked as an LVN in Houston County Hospital and in her later years she was a school nurse at Slocum Elementary School and most of the nursing homes in Houston County. Edwina had an intricate role in bringing the nursing program to Crockett. She was an educator and a provider in Houston County; she loved people and her community. Edwina was a loving Mother, Grandmaw, Great Grandmaw and Great Great Grandmaw. In 2000, she became a resident at the Whitehall Nursing Home where she immediately put on her nursing hat. Many of the residents were her patients during her nursing career. She will be loved and missed by many. Her great-granddaughter, Brooke Jackson lovingly assisted in her care for the last 7 years of her life. The family gives Brooke and everyone else who cared for her their greatest gratitude. Edwina was preceded in death by her husband, Sherriff Morris Minter; parents, Graydon and Lena Manning; and brother, G. L. Manning. She left behind son, Johnny Minter and wife, Syble; favorite granddaughter, Barbara Minter; grandsons, Wesley Minter and wife, Cindy, Chris Minter and wife, Leah; great-grandkids, Michael E. Jackson Jr., Brooke Jackson, Brennen Minter, Shelby Minter, Christen Minter and Jake Minter; great-great-grandchildren, Brandie Jackson, J.J. Jackson, Christian Jackson, Aden Jackson and Benjamin Minter. Next articleHORACE MCQUEEN: Lost Dog Saga – with a happy ending!